Photo by Over Ocean Media for Tumbleweed Spirits Distillery. Miradoro. Photo by Nora Hamade. In British Columbia, the cherry industry is robust. With over 30 varieties to choose from, and the expectation to export 12 million pounds of the stone fruit in 2018, it is a business worth roughly $150 million annually. Cherries are on the epitome of summertime snacking; who hasn’t stopped at a roadside stand in the Okanagan to pick up a bag for the drive home? 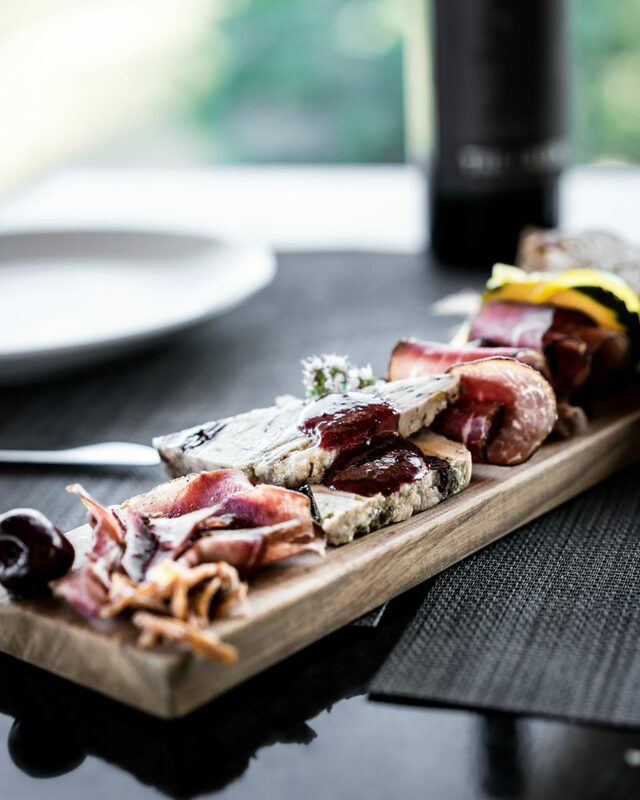 “I’ve been cooking for 21 years professionally,” Van Hooydonk. “I have not found cherries that taste as good as mine.” Inside his cooking and dining facility, he dips a spoon into a sour cherry puree that he whipped up this morning. “I’m turning it into an infused mustard,” he explains, excited about folding in some basil and wild brush honey, too. I look over at the space’s retail shelf and admire the Backyard Farms cherry ketchup, cherry barbecue sauce, and sun-dried fruit granola that would make for excellent edible souvenirs. 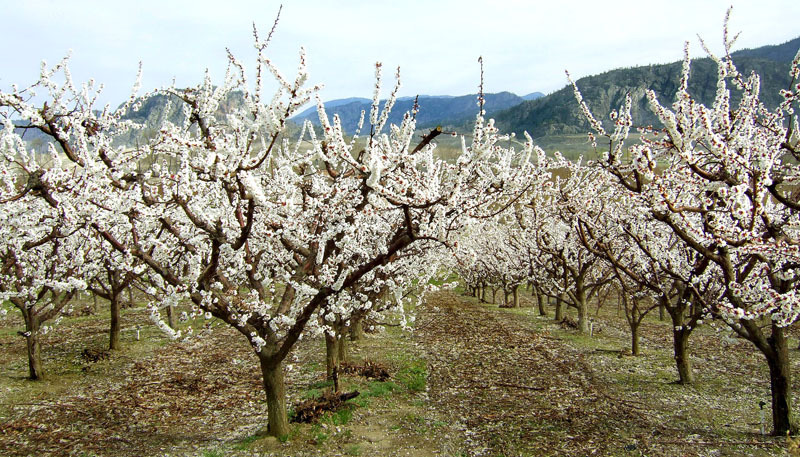 Van Hooydonk’s cherry branches extend far from the tree, and as I soon discover, reach multiple corners of Osoyoos. “Yesterday we sold 25 pounds to Jeff Van Geest at Miradoro restaurant. He’s the only other chef that is using my cherries,” shares Van Hooydonk. 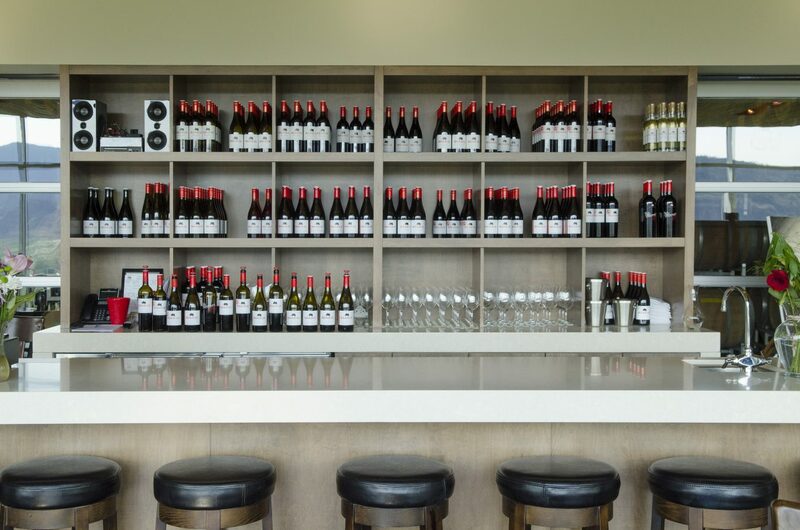 I later meet up with Van Geest at Miradoro, nestled on the edge of Tinhorn Creek Vineyards and overlooking rows of vibrant green grape vines. 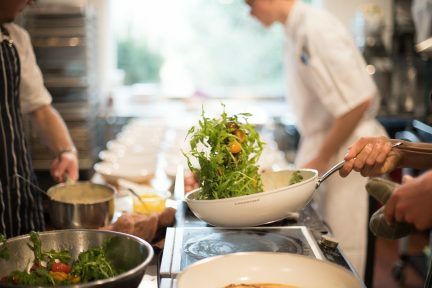 He brings out a fresh-caught salmon on a bed of Van Hooydonk’s van cherries, which were cooked down in agrodolce syrup and then pureed with some blanched mustard seeds to create a jam-like glaze. A summer staple at the restaurant is its cherry gazpacho, a blend of bing cherries and beets. But for Van Geest, it is creating a dessert with the local rainier cherry that really gets him excited. “It’s got an amazing pineapple flavour to it,” he gushes. “I love it because it brings in some great tropical flavours.” A handful of the yellow-pink cherries are nestled into a cozy filo-pastry puff with two different creams—a festive seasonal treat. To wash it all down is a Ginja sour-cherry drink, which is made with red wine, moonshine, brown sugar, and cloves of cinnamon, and is aged for three months before serving. 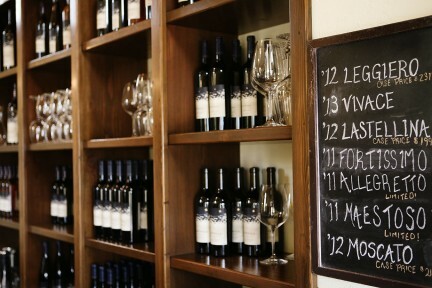 “You’ll drink a lot of this in Portugal,” adds Miradoro owner Manny Ferreira as I head out, full and happy. Miradoro isn’t the only place in the area that serves cherry-infused beverages. Over at Road 13 Vineyards, located between Osoyoos and Oliver, the team whips up a summery frozen rosé dubbed the Frosé. “I own the trademark in Canada, and I give the exclusive use of the name to Cactus Club,” says general manager Joseph Luckhurst. Road 13’s version of Frosé is made using the winery’s Honest Johns Rosé, plus cranberry cocktail, grenadine, and triacetic acid. Garnished with sour cherries, it has a delightfully tart kick. In Eastern Osoyoos, on land that belongs to the Osoyoos Indian Band, is the one-year-old Tumbleweed Spirits Distillery. I visit this industrial space after attending the 70th Osoyoos Cherry Fiesta, which is held every year on Canada Day and features a cherry pit spit, a cherry pie eating contest, and Western Canada’s largest fireworks display (if planning on having a few drinks at various wineries and restaurants after the Fiesta, it is best to book a service such as Wine Away Tours that will take sippers from place to place). Specializing in fun concoctions such as juniper and citrus gin, barley maple moonshine, and cherry moonshine, Tumbleweed is all about creating craft spirits from the most potent ingredients in the Okanagan. 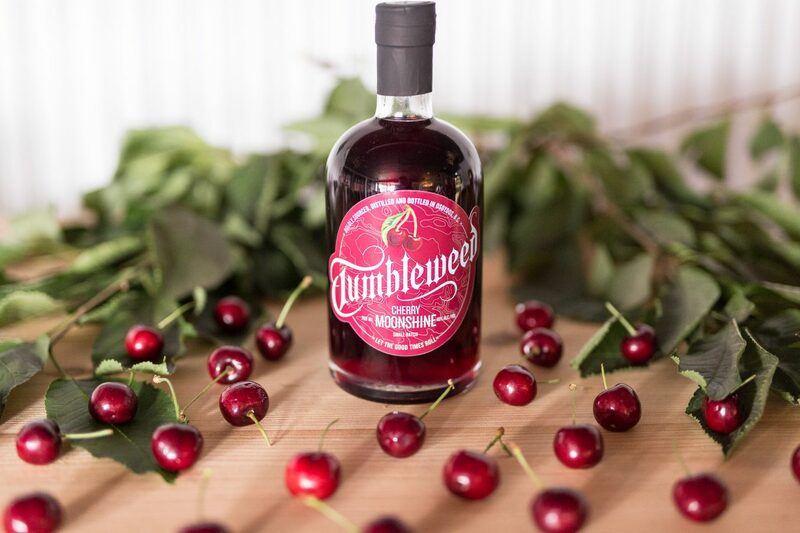 “I look like an axe murderer because when I’m pulling all the stems out of these juicy cherries, my arms are all covered in cherry juice,” says a laughing Mike Green, Tumbleweed’s owner and distiller. He and his wife make their Cherry Moonshine with one-part 40 per cent distilled wine from Road 13 or Adega, and one-part local cherries from Osoyoos orchard Casa De Mell. “We put them in infusion bags, and then we immerse the bags into the spirit that’s at 65 per cent,” he explains. “What happens is, the alcohol pulls all the juice out of the cherry. And this is the natural colour. We don’t use any artificial flavouring in anything.” Before my eyes, two shot glasses fill up with red liquid. Shooting it back, it is just the right amount of sweet; those who prefer to sip the moonshine can put a couple of shots on ice or make it a cocktail by adding soda water and a wedge of lime. 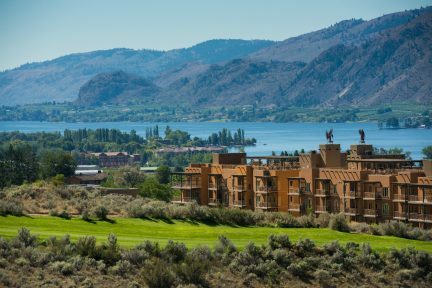 Continuing my sweet adventures, I wander just around the corner from Tumbleweed to Mica Restaurant at the exceptional Spirit Ridge resort. Here, chef Nick Atkins creates a flavourful cherry brandy. “We have a pitting party back there,” he says with a chuckle. The liquor is used for brandied cherry sabayon that is served as a dessert with vanilla gelato, cinnamon bannock, and cinnamon sugar. I return to my hotel room at Spirit Ridge and pop a van cherry into my mouth from C&C Family Orchards in Eastern Osoyoos; the farm is run by a husband and wife who, adorably, met at a cherry market in Alberta. As I savour the fruit, I recall the differences among the varieties—the tastes, the textures, the colours. 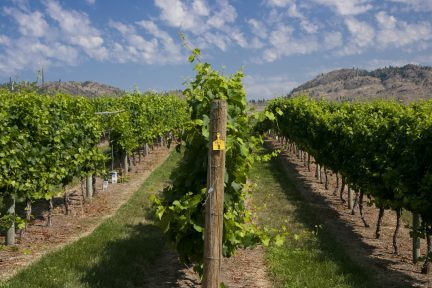 While many people come to the Osoyoos region for wine, it’s clear to me now that there is a fruit here beyond the grape that is worth travelling for.